Breastfeeding doesn't leave you much free time... but I've been trying to get some stuff done, it's not done yet, but soon. 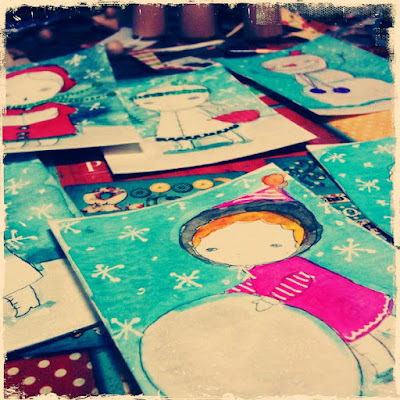 ACEO Holiday cards.. they're almost ready! 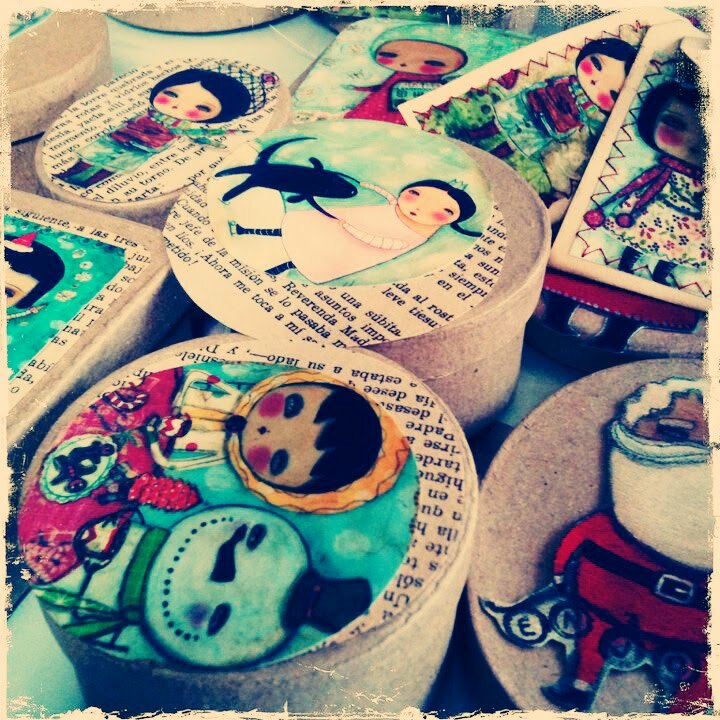 Boxes and ornaments in process. 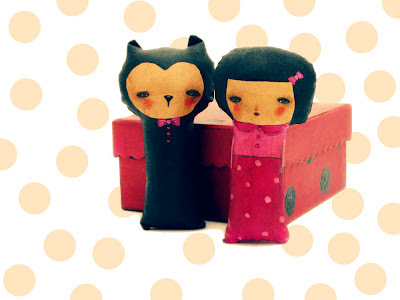 Girl and Cat... looking for a loving home. They don't want to spend Christmas alone. Would you like to adopt them? Click here! 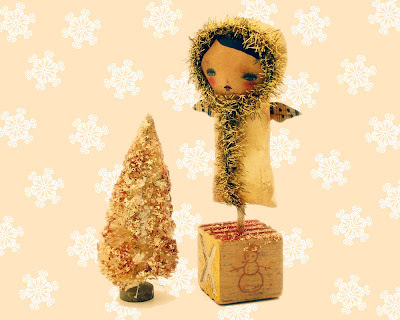 Or if you prefer something more festive, what about a lovely golden angel, with her own mini Christmas tree? how much do i luv ur art? muy bueno! Your cards are so beautiful! I love your characters and their sweet expressions. 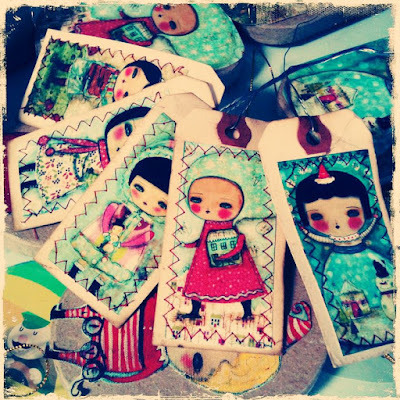 Oh I'm so happy that I found you-your work is so sweet and beautiful!. So glad I found you. 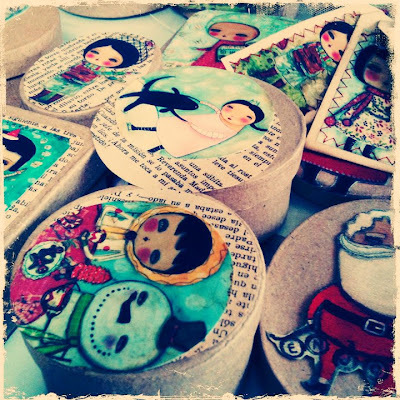 Your work is so sweet and beautiful!